The Old School House In Dennisville, New Jersey has served this Cape May County community in numerous ways. Originally a two story school house, the building was converted to the township's municipal building after a fire destroyed the upper floor almost 70 years ago. After a modern municipal building was constructed in the early 1990's, the building was again converted...this toime becoming a community museum where folks of all ages visit to learn about local history. These days, the building needs some structural work. 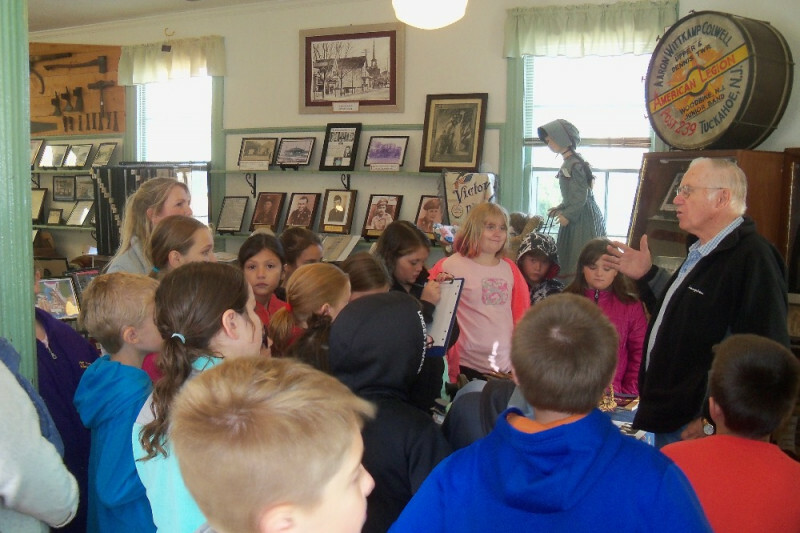 Friends of Dennis Township Old School House Museum is a community based non-profit group dedicated to restoring the old school house so it can continue to function as a museum. Friends is also working to preserve and promote the rich history of asouthern New Jersey with a special emphasis on Dennis Township and Cape May County. We're moving steadily along with our first Friends of Dennis Township Old School House Museum fundraiser. If you haven't made a pledge, it's easy and the money will be used to maintain our museum and preserve local history. Let's all support the museum!